We are doing well, and I'm so thrilled to have been blessed with another precious baby boy! My sweet sister has thrown a 0th birthday party for each of my children in the hospital on the day of their birth. Caleb was no exception. You can see the cake she bought pictured below. Congratulations Jennifer!!! Best wishes of Happiness for all! Congratulations! 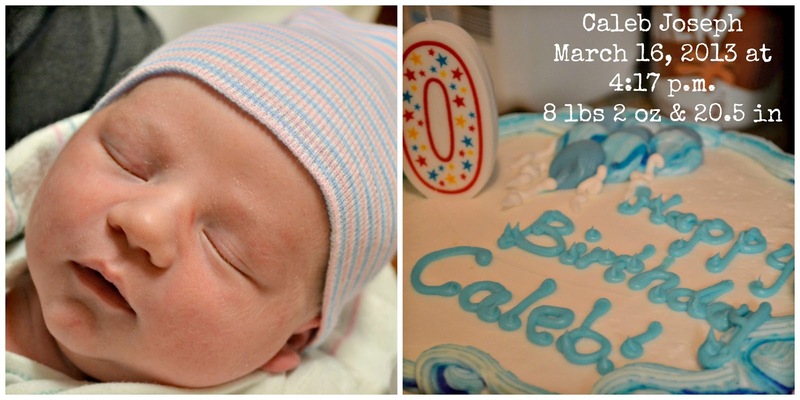 I am so glad you and baby Caleb are both doing well, he is beyond adorable. I love that your sister got him a cake for his actual birth day! congrats! he is truly beautiful. Glad to see everyone is Happy & Healthy! Congratulations to you! What a blessing! Congrats, What a cute idea.